What can we learn from winners? If you don’t know yet, a Webby Award is an annual award for excellence on the Internet. Over one thousand industry experts and technology innovators judge in several categories including advertising & media. It’s a great moment to get inspiration from previous winners in the category ‘Display & Banner Advertising’. When Canadians think of IKEA, they think ‘hard to reach’. That’s because there are only 12 IKEA stores across the country. That’s why IKEA launched Pick-up and order points. To show Canadians just how accessible these pick-up points were, they created a personalized Hyperlapse banner. Each banner was an unique experience, playing video’s of people’s journey from their house to their local IKEA. This campaign in 2014 had to promote the new GTI. Everybody got the chance to see if they could keep up with the GTI, by turning banner ads into a racetrack, GTI Bannerbahn. A real-life race across the 4 biggest websites of Holland, broadcasted live with an audience of 2.5 million viewers trying to beat the GTI. 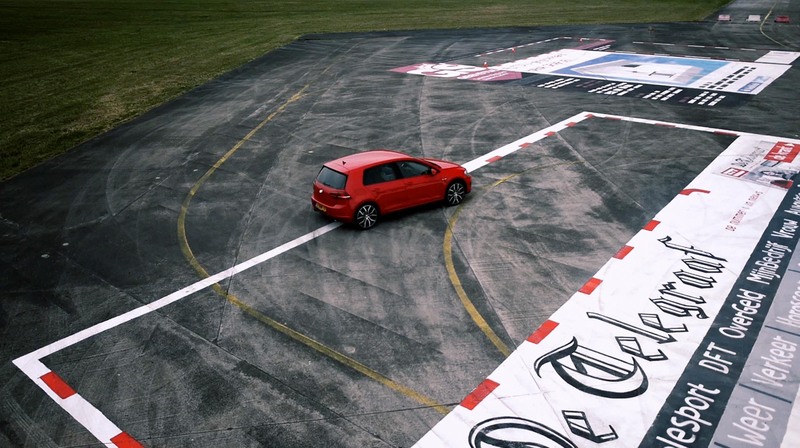 A live stream in the banners showed a real GTI racing across websites that were painted on asphalt, while being chased by thousands of online players. Based on the success of the personalized bottles, Coca-Cola came up with a winning campaign in Romania. Share your voice with Adi Despot, the lead singer of one of the most famous Romanian rock bands. With the web banner you could directly call and talk to Adi Despot. The singer invited users to sing along the chorus for his hit song, Stardust. The ‘Know Your English’ interactive banner for British Council Singapore offers internet users a convenient, real-time online English language dictionary and pronunciation guide. Are you working on the next winning campaign? Make sure you present the banner ads in a professional environment to your clients. Create a banner preview page in only 1 minute.